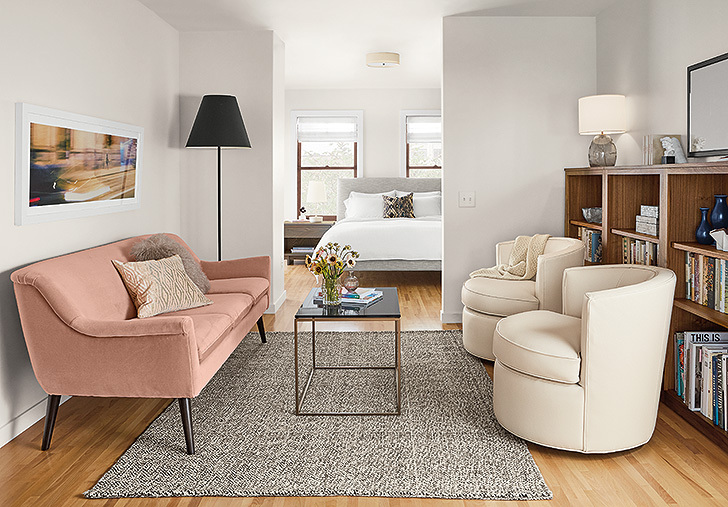 Whether you call it blush, rose or millennial pink, this soft color adds personality and warmth to an otherwise neutral room. Keep reading to learn how to bring in pink in ways big and small. 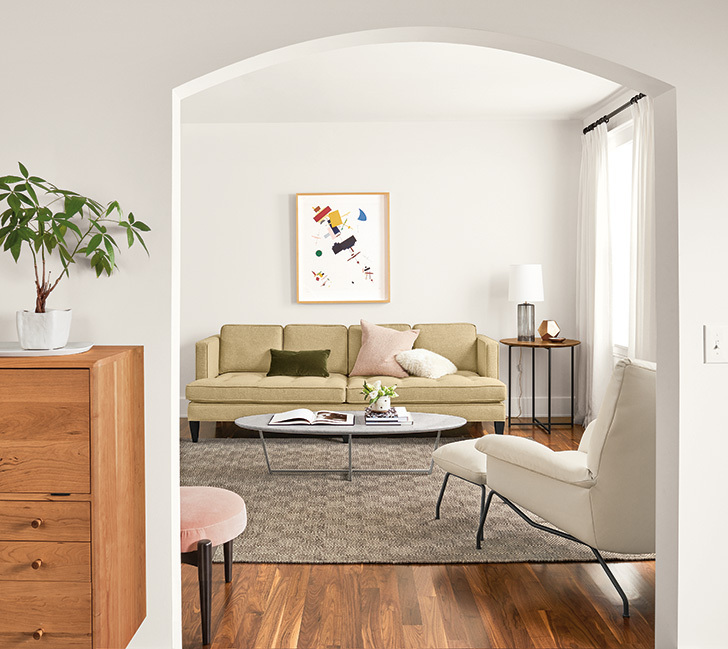 Make pink a focal point in your living room with our Murphy sofa or ottoman in our Vance rose velvet make big statements in the living room. It is luxurious velvet that offers a rich look with durability thanks to its cotton-poly blend. Want to add pink with less of a commitment? 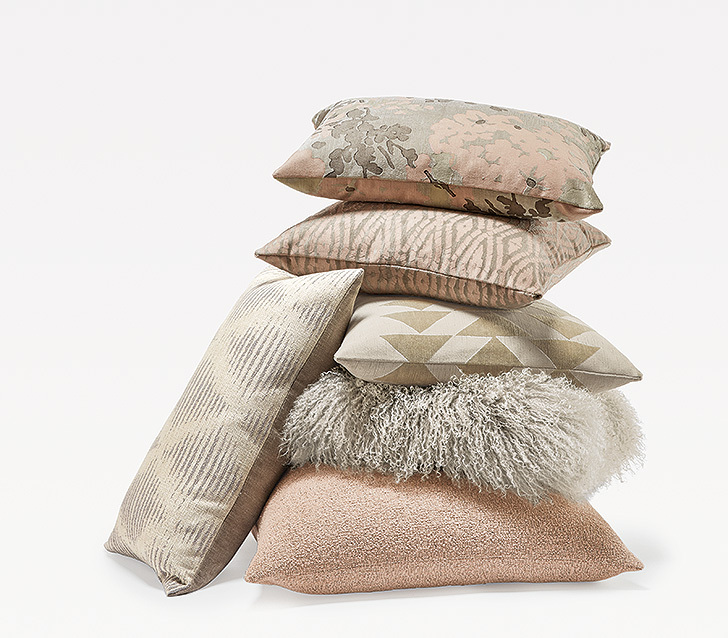 An assortment of blush-toned pillows brings in subtle color and texture. Remember the Vance rose velvet from the sofa above? Check it out on our dreamy Avery upholstered bed. 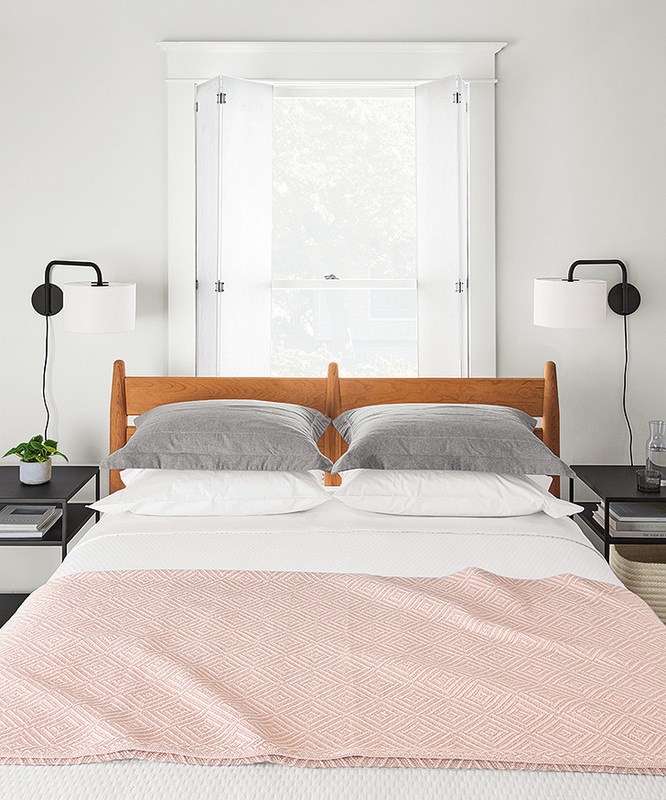 We love how it acts as a neutral color in the bedroom above. 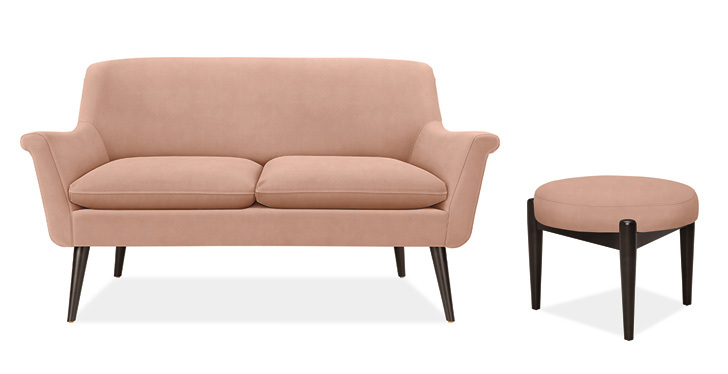 Prefer to stick with blush colors seasonally? 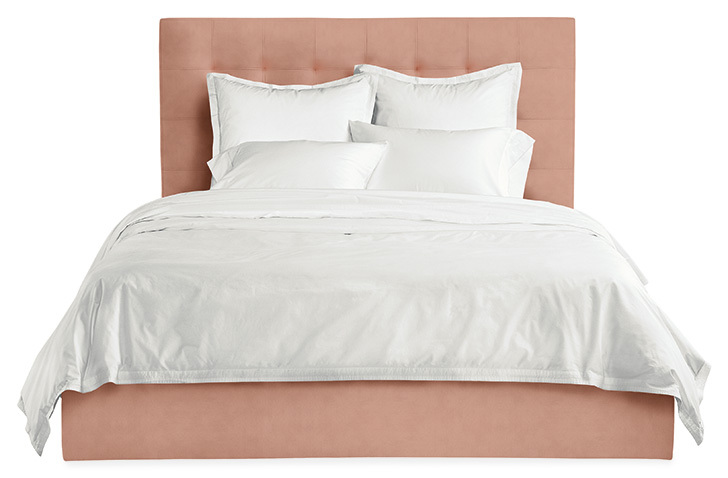 Swap out your heavy blankets for a lighter weight–and lighter colored–version for spring. Our Norwich all-cotton blanket features a two-tone jacquard diamond pattern for inviting texture. 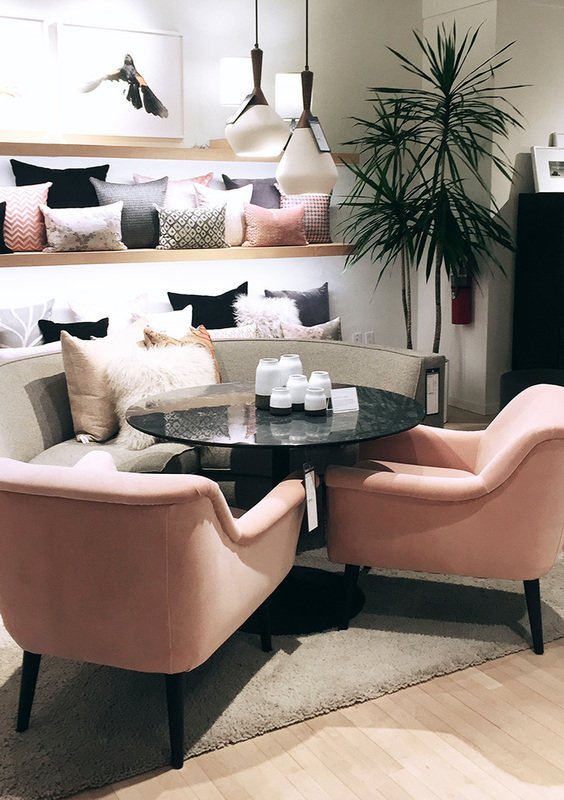 Find more ideas for using pink in your home, stop into any Room & Board showroom to talk to one of our expert Design Associates or explore more online. And remember that Room & Board sofas, sectionals and accent chairs can be custom ordered in any of our fabrics, including Vance rose velvet. Beautiful work! Love your article. 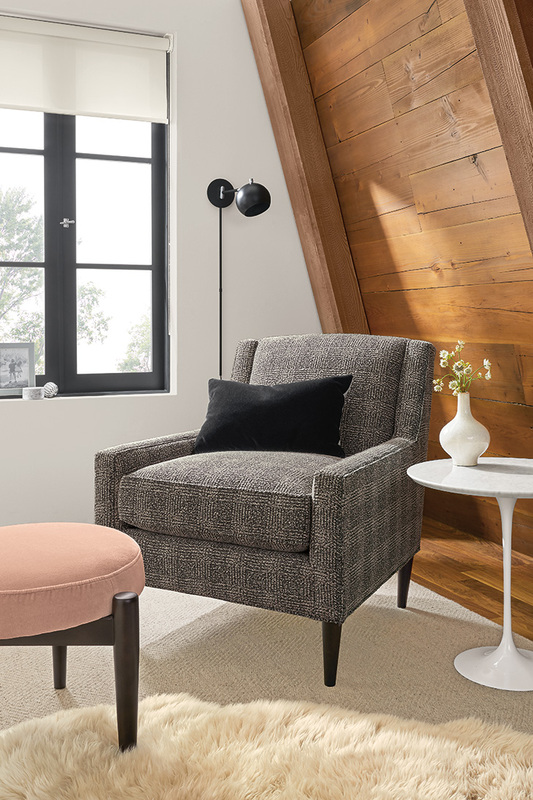 These are the best ways to decorate with pink. l am a great fan of pink color but have never thought about incorporating it into my decor. Now I will go with it. Thanks for sharing.